I just sent out my very first email using MailChimp. Here it is . . .
A bit of history: this blog began after a discussion among five like-minded individuals at the 2011 APSA Teaching and Learning Conference (TLC). I originally built it on the free WordPress.org platform and readership eventually grew to nearly 1,000 subscribers and an average of 5,000 page views per month. 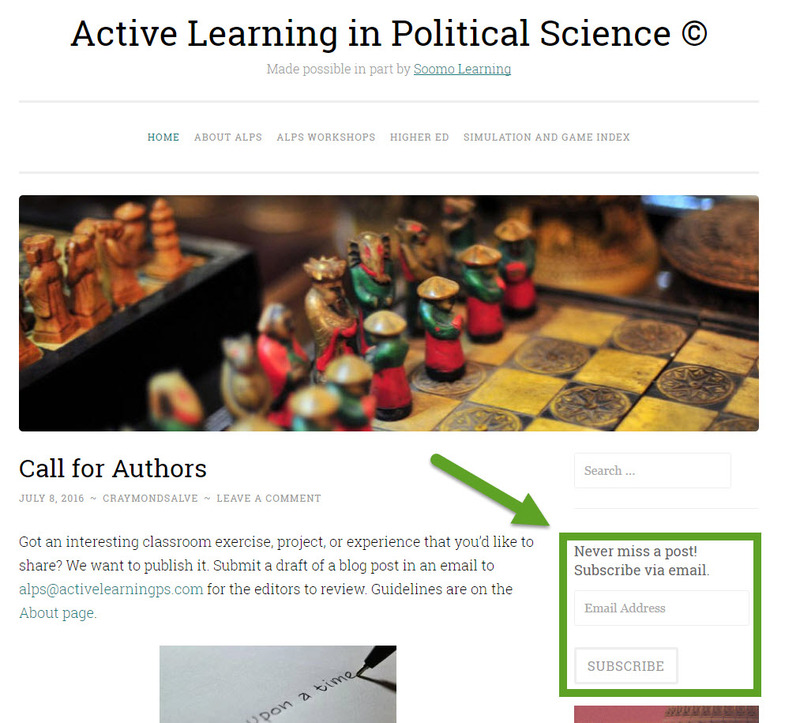 By 2015, the constraints of using WordPress.org as a web host were increasingly apparent, and with help from our friends at Soomo Learning I moved the blog to its own web domain at http://activelearningps.com/. As an amateurish solution — this is a labor of love, not something I profit from — I created the MailChimp pop up. 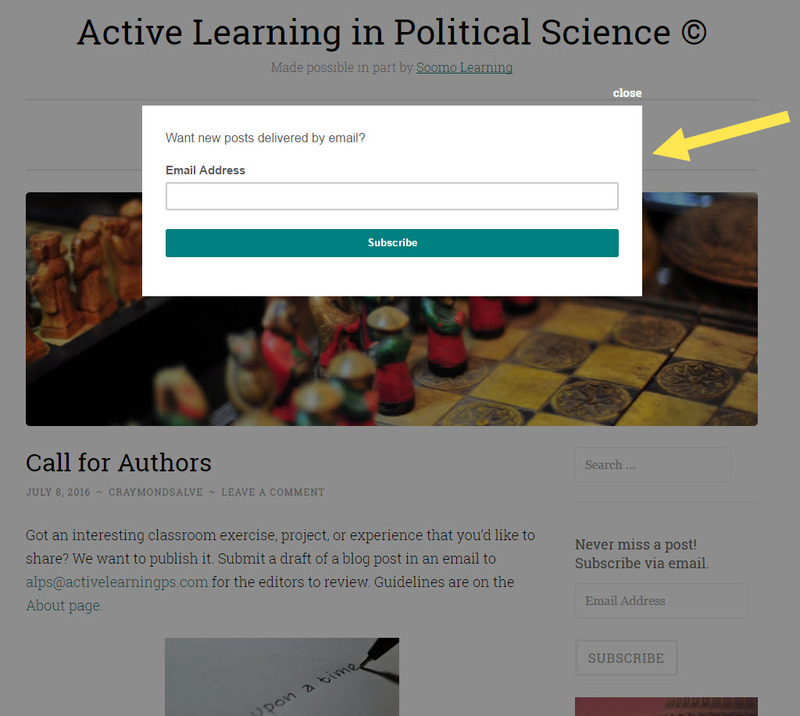 Whenever a visitor to the blog submits their email address via the pop up, I get notified, and then I manually enter the same address in the blog’s subscription box — resulting in a second confirmation email to you. If you didn’t confirm your desire to subscribe after receiving this second email, most likely you haven’t been receiving updates about new blog posts. So I’m urging you to subscribe through the blog if you haven’t done so already. Other news: a few of the ALPS regulars will be at the next TLC. We will also be delivering a workshop on Creative Teaching and Course Design at the next International Studies Association meeting. Both events are in February, so book now if you are interested.